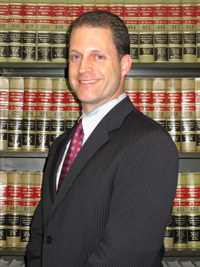 KENNETH E. PITCOFF is the managing partner of MDAF’s public entity department. He specializes in defending municipalities in high-profile civil rights, torts and employment related cases. He has successfully defended municipalities in excessive force cases, several of which have involved police shootings and Taser use, as well as police false arrest claims. Mr. Pitcoff is an expert at crisis handling and advising his clients how best to communicate with the media. He works closely with municipalities to limit their potential exposure to a wide variety of lawsuits through education and training. Mr. Pitcoff also specializes in defending high exposure personal injury cases where catastrophic injuries are alleged. He has tried more than sixty cases in the State and Federal Courts, almost all of which have resulted in defendants’ verdicts or verdicts or settlements that were well below the offers made prior to trial. Mr. Pitcoff is a frequent lecturer on immunities available to municipalities and his articles are regularly published in the New York State Law Journal. Mr. Pitcoff had the honor on two occasions of being named National Attorney of the Year by insurance companies. In 2017, Mr. Pitcoff was named Attorney of the Year by Tokio Marine, Public Risk Group, for his work defending municipalities. In 2011, Mr. Pitcoff was named Attorney of the Year by Midwest Claims, a division of Houston Casualty Corporation, for his work defending municipalities. Monroe v. Police Officer Viohl – Plaintiff claimed that Officer Viohl used excessive force with respect to effectuating his arrest. Specifically, it was claimed that the police officer Tasered the plaintiff five times and threw him against a police car causing physical injuries. Mr. Pitcoff was able to convince a jury that the use of the Taser was necessary due to plaintiff’s failure to comply with the officer's commands. He successfully argued that the officer had properly followed the Department’s use of force continuum. He was also able to convince the jury that plaintiff’s claim of being thrown against the hood of the police vehicle was a fabrication. The jury issued a defendant’s verdict. Noel v. Incorporated Village of Lake Success - Mr. Pitcoff obtained a defendant's verdict in a matter in which plaintiff claimed that the Village and individual defendants unlawfully discriminated against him in violation of Title VII, 42 U.S.C. Section 1981, and Section 290 of the New York State Human Rights Law. Specifically, plaintiff alleged that the discrimination stemmed from a two week suspension issued by the Village as a result of his alleged failure to report a gasoline spill on a golf course in violation of the Village's rules. Plaintiff claimed that the reason for the suspension provided by the Village was pretextual, and that the real reason for the suspension was his race and national origin and that it was in retaliation for a prior discrimination complaint that he filed. Plaintiff sought to recover back-pay, emotional damages and punitive damages. Wall v. Town of Niskayuna - Plaintiff Police Sergeant alleged gender discrimination in not being promoted to lieutenant and retaliation in not being promoted to detective sergeant. Mr. Pitcoff obtained a defendant's verdict at trial. Techon Contracting v. Village of Lynbrook - Mr. Pitcoff was lead defense counsel in a multi-million dollar breach of contract case which was discontinued against Mr. Pitcoff's client following a six week trial. Kravtsov v. Town of Greenburgh - Mr. Pitcoff obtained a defendant's verdict where plaintiff claimed that he was discriminated against in violation of the Americans with Disabilities Act. DiBartolo v. Town of Yorktown - Mr. Pitcoff obtained dismissal of this defamation claim brought by two plaintiffs against the Town of Yorktown and Town supervisor based on executive privilege. Croci v. Town of Haverstraw - Mr. Pitcoff obtained dismissal of this claim as against the Town of Haverstraw where plaintiff claimed that the Town violated the New York State Executive Law as a result of the Town's alleged failure to properly investigate and respond to plaintiff's complains of sexual harassment by a co-worker. Munoz v. Guarino - Mr. Pitcoff successfully defended his client in a wrongful death action in which his client's personal assets were at risk. At trial, Mr. Pitcoff obtained a verdict far below a previous settlement offer that had been extended to plaintiff's estate. Herman v. Moore - Mr. Pitcoff obtained a defendant's verdict in a damages only case on the grounds that plaintiff, despite receiving years of physical therapy, did not sustain a "serious injury" within the meaning of the New York State Insurance Law. Casuso v. Demo Equipment Corp. - Mr. Pitcoff obtained a defendant's verdict in a matter in which plaintiff alleged that he was forced to undergo three surgeries as a result of the accident in question, including a lumbar fusion surgery, and was left with a permanent disability. Mr. Pitcoff argued that the plaintiff’s surgeries were not related to the accident, but to preexisting conditions. Defendants had insurance coverage of $10,000,000 and an offer of $1,150,000 was extended to the plaintiff prior to trial, which was rejected. The jury dismissed plaintiff’s claim on the grounds that plaintiff's injuries did not breach the “serious injury” threshold, as defined by the New York State Insurance Law. Mr. Pitcoff represented the Village of Mamaroneck in the landmark case of Groninger v. Village of Mamaroneck, 17 N.Y.3d 125, 927 N.Y.S.2d 304 (2011), where the Court of Appeals held that parking lots are the "functional equivalent" of roadways within the meaning of the New York State prior written notice statutes. Hazard Vehicles: When Does Recklessness Disregard Standard Apply? CPLR 1601: Limiting Liability Against Public Entities? Claims & Litigation Management Alliance.